Success! Bikensley from Haiti raised $1,500 to fund prep for cardiac surgery. Bikensley's treatment was fully funded on May 22, 2018. During surgery, the hole in Bikensley’s heart was closed with a patch, and the muscular blockage near his valve was removed. He should be able to lead a normal life without further danger from this condition. Bikensley is a preschooler from Haiti. He lives with his parents, who are rice farmers, in a river valley in central Haiti. He enjoys going to preschool and church. Bikensley has a cardiac condition called Tetralogy of Fallot. This involves several related defects including a hole between two chambers of the heart, and a muscular blockage of one of the valves. These prevent blood from circulating adequately to the lungs, leaving him weak and short of breath. On April 9, he will undergo cardiac surgery at St. Damien Hospital, our medical partner’s care center. During surgery, surgeons will close the hole with a patch, and remove the blockage near his valve. Another organization, Gift of Life International, is contributing $5,000 to pay for surgery. Bikensley’s family also needs help to fund the costs of surgery prep. The $1,500 requested by our medical partner, Haiti Cardiac Alliance, covers cardiac exams and medications. 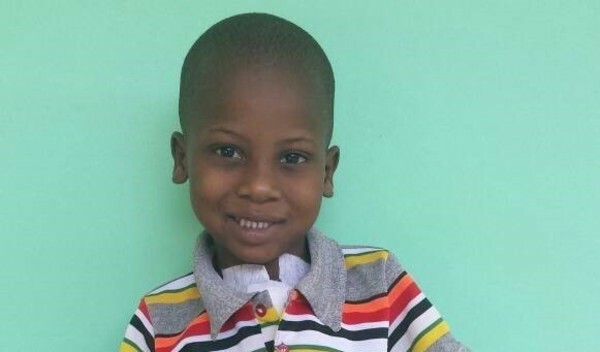 Bikensley's case was submitted by Owen Robinson at Haiti Cardiac Alliance in Haiti. Bikensley was submitted by Owen Robinson, Executive Director at Haiti Cardiac Alliance, our medical partner in Haiti. Bikensley received treatment at St. Damien Hospital. Medical partners often provide care to patients accepted by Watsi before those patients are fully funded, operating under the guarantee that the cost of care will be paid for by donors. Bikensley's profile was published to start raising funds. Bikensley's treatment was successful. Read the update. Bikensley's treatment was fully funded. When a hole exists in the heart, a physician can hear a buzzing noise, or murmur, in the child's chest as blood passes through the hole at high velocity. The child's parents might notice that their son or daughter cannot keep up with other children in daily activities. In severe cases, the lack of oxygen in the bloodstream can lead to dramatic symptoms, such as blue lips and tongue, clubbed fingers and toes, and heart failure. The patients treated by Haiti Cardiac Alliance tend to fall into two categories. They are either born with some type of hole or defect in the heart, or they develop valve disease as a result of an untreated strep throat infection (rheumatic fever). Patients with rheumatic valve disease experience swelling of the abdomen and extremities, as the heart tries to circulate blood through the body despite the valve's dysfunction. Virtually all of the conditions treated at Haiti Cardiac Alliance will eventually lead to death without surgery, the majority of them within one to two years. In the meantime, patients experience heart failure as their hearts struggle to compensate for the presence of leaks or other defects. In most conditions, the heart becomes fatigued, limiting the child's ability to be active, go to school, and participate in daily life. Families in Haiti often have complex cultural mechanisms for understanding cardiac illnesses and their causes, sometimes involving voudou or other religious belief systems. Nevertheless, the overwhelming majority of Haitian families in our medical partner's program also engage with the medical explanations and treatment of these conditions. Parents are willing and cooperative participants in their child's treatment. The patient is first referred to our medical partner, Haiti Cardiac Alliance (HCA), by a pediatrician or another medical practitioner who detects symptoms that might be cardiac in nature. HCA staff then perform an echocardiogram to diagnose the cardiac condition. If surgery is required, the staff decides whether the child can be treated in-country or needs to be flown elsewhere to access care. If the child can be treated in-country, he or she is scheduled for an upcoming surgical mission. In the meantime, HCA provides periodic cardiac checkups. Typically, the child spends 4-5 days in or near the hospital prior to surgery for testing and examinations. After surgery, he or she spends several more days as an inpatient prior to being discharged. HCA provides regular cardiac checkups for at least five years postoperatively before the final discharge from their program. These treatments are almost always life-saving in nature. These cardiac conditions are not survivable over the long-term without surgery. Within weeks after surgery, the patient should notice a difference in energy level. Many patients also undergo a growth spurt and/or gain significant weight after a surgery. The risk of death during or shortly after an open-heart surgical procedure is about 3%. Other risks, though rare, include stroke and post-operative infection. In a small percentage of cases, the material used to patch the hole "blows," and a follow-up surgery is necessary to re-patch the defect. Patients come to Haiti Cardiac Alliance (HCA) from the entirety of Haiti. This can involve three days of travel in buses, pickup trucks, or even on horseback. There is no cardiac surgery of any kind available in Haiti outside of the HCA treatment network. In general, patients are treated with medications to prevent heart failure until they are ready to travel. Patients may also seek care from traditional healers, who may use liquids and powders derived from local plants and roots. Emmanuel is a young boy from Kenya. He is the second child to his parents, Since he was one month old, Emmanuel has had an inguinal hernia. This causes him pain and discomfort and if not treated, it may result in intestinal tissue damage and death. Fortunately, on March 5, he will undergo repair surgery at our medical partner's care center. 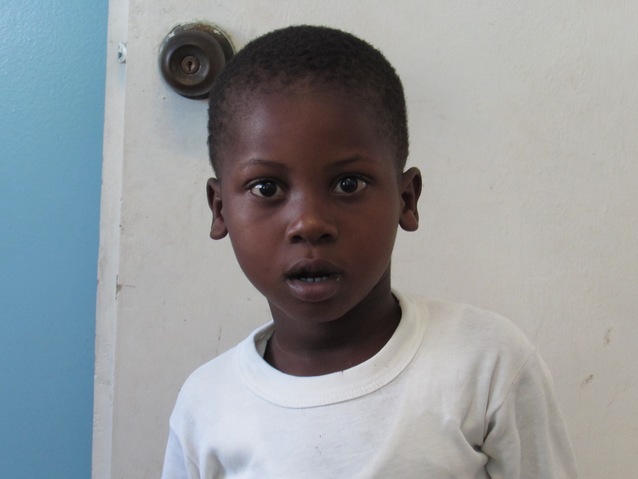 Our medical partner, African Mission Healthcare Foundation, is requesting $423 to fund Emmanuel's surgery. Once completed, this procedure will hopefully allow him to live more comfortably. “I hope that soon all this will be behind us. We hope you can help,” shares Emmanuel’s mother. Georgeline is a baby from Kenya. Her family is originally from Liberia. Georgeline has been diagnosed with hydrocephalus, a condition in which excess cerebrospinal fluid accumulates in the brain and increases intracranial pressure. As a result of her condition, Georgeline has been experiencing an increasing head circumference. Without treatment, Georgeline will experience severe physical and developmental delays. Our medical partner, African Mission Healthcare Foundation, is requesting $685 to cover the cost of surgery for Georgeline that will treat her hydrocephalus. The procedure is scheduled to take place on April 17 and will drain the excess fluid from Georgeline's brain. This will reduce intracranial pressure and greatly improve her quality of life. With proper treatment, Georgeline will hopefully develop into a strong, healthy young girl. “I am so happy for the love and kind nature of people in Kenya. May God bless you all,” says Georgeline’s mother.